After learning recently about S.D.S. 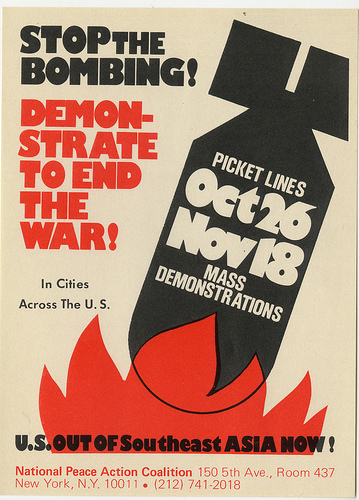 stickers (Students for a Democratic Society) in the U.S., I’ve been expanding my collection with a few more examples like these from the 1970s. 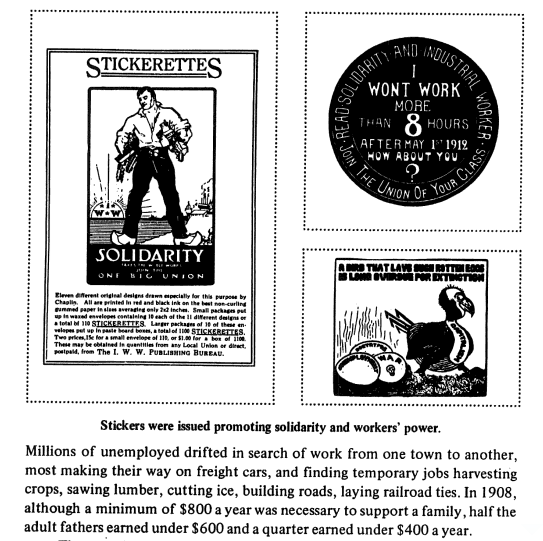 Online today, I came across something even older – stickers from the early 1910s-1920s that were created for the Industrial Workers of the World (I.W.W) and used as “silent agitators” or “silent organizers.” On Facebook, the Labor Archives and Research Center at San Francisco State University features six stickers, which at the time were called “stickerettes,” and writes, “they were easy to anonymously stick on surfaces throughout the job site (including the back of a boss).” In the State of Washington, Centralia College’s Kirk Library also shows a digitized collection of 17 stickerettes. 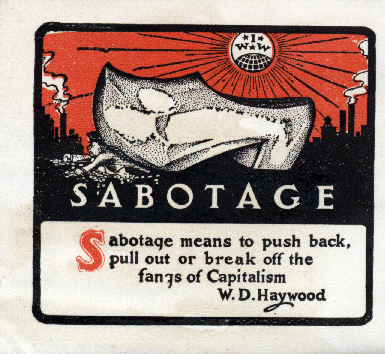 And in a new book called The Man Who Never Died: The Life, Times and Legacy of Joe Hill, American Labor Icon, William M. Adler, the author writes, “[t]he novel stickerettes represented a low-cost, high-visibility advertising campaign for the union.” One from the book is pictured here. Another book by Gibbs Smith of Joe Hill includes a reference to stickerettes, too. Below is a screen shot of page 8 from Google books. All of this in time for the June 5, 2012 vote to recall Wisconsin Governer Scott Walker and his attempts at union-busting.